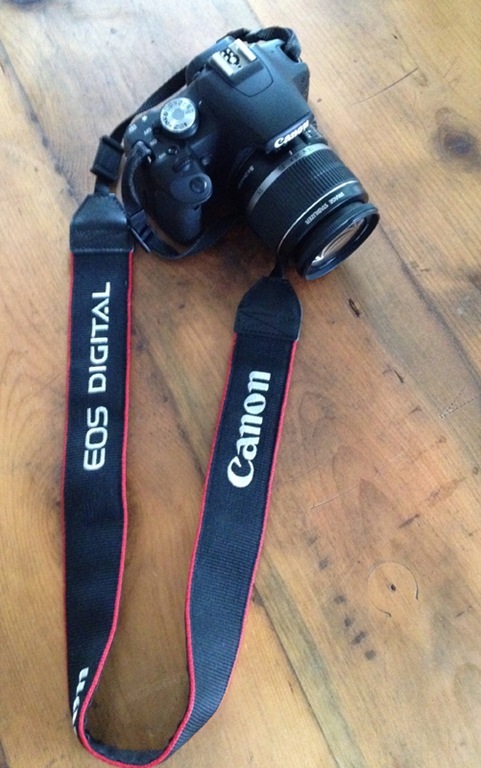 One of my 30 Before 30 Project goals that I have been super excited about has been #14. 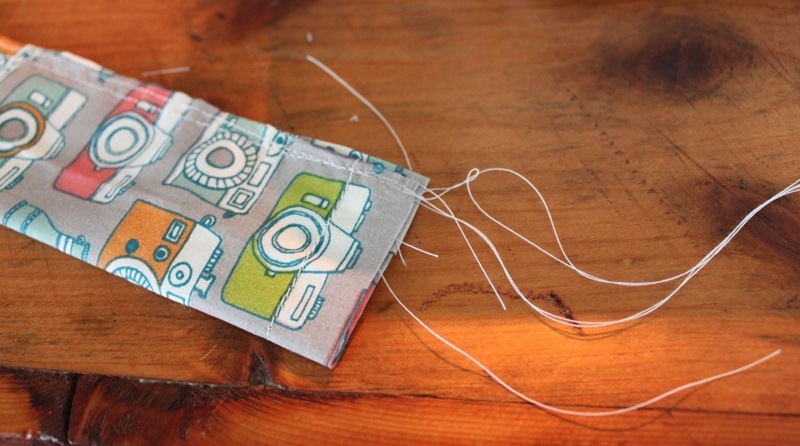 Make 5 crafty things I’ve seen on Pinterest. 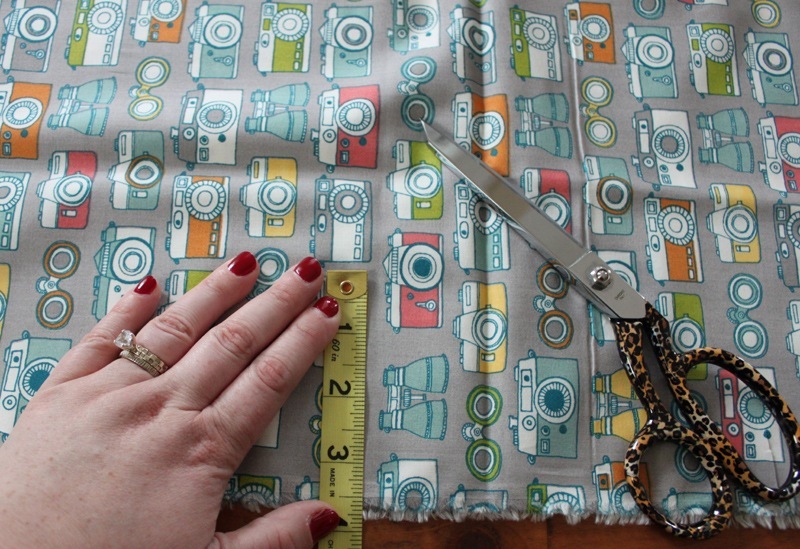 This project was on the top of the list for two reasons: I really needed a cover for my camera strap and because I just got this adorable fabric in Portland that needed to be used ASAP. I used two different Pinterest links to guide my project (these: 1, 2). The pattern I drew up was super simple. 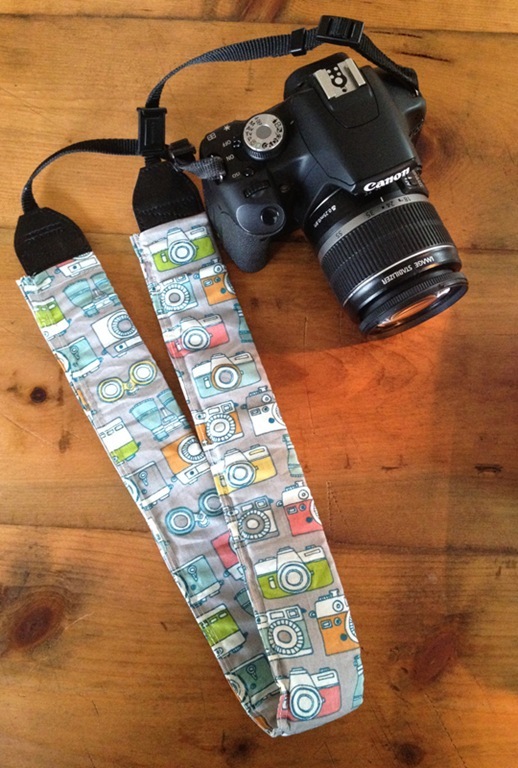 My camera strap measures 23.5 inches long and 3.5 inches wide so my pattern was for a piece of fabric 24 inches long and 4 inches wide, leaving a 1/4 inch hem allowance on each side. 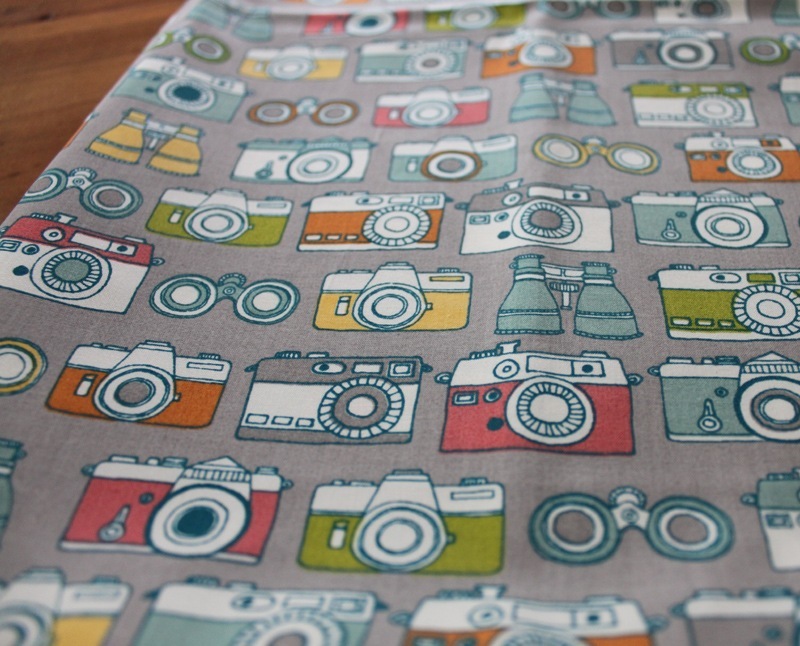 I got this adorable camera/binocular fabric at Cool Cottons in Portland, Oregon. It is by Birch Fabrics and is part of their Monaluna line. Their products are lovely and are 100% organic cotton. 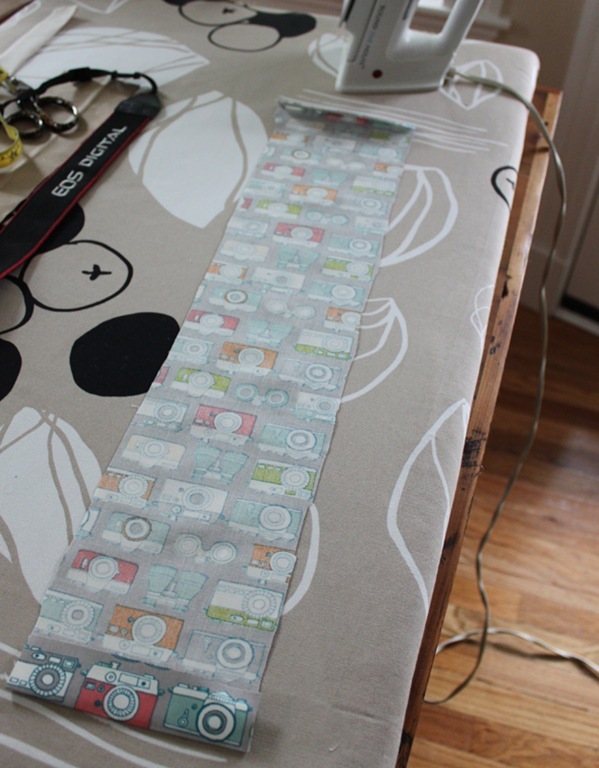 I started by cutting out my 24″ x 4″ strip of fabric. One thing that I think is super helpful is to draw lines on the underside of the fabric lightly in pencil to make the cutting smooth and easy. 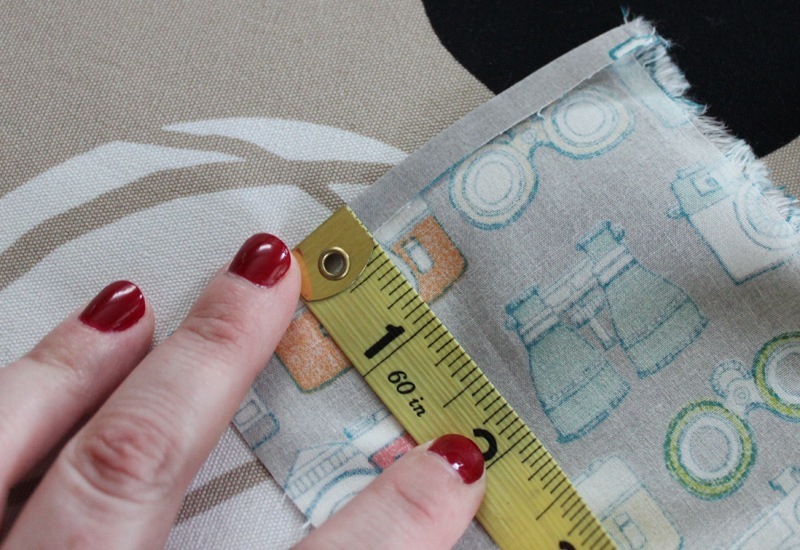 The next step is to measure, mark, and the iron down the 1/4″ hem on each side of the fabric to prepare it for sewing. 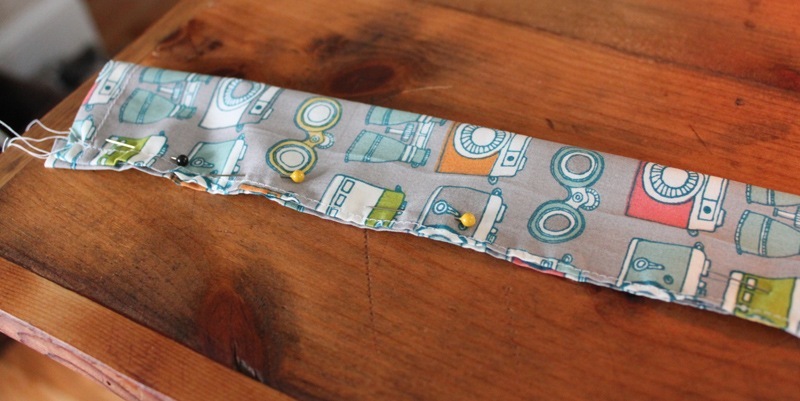 A hem is not essential but I think it adds a polished and professional look to any sewing project, no matter how small, so I always make one. 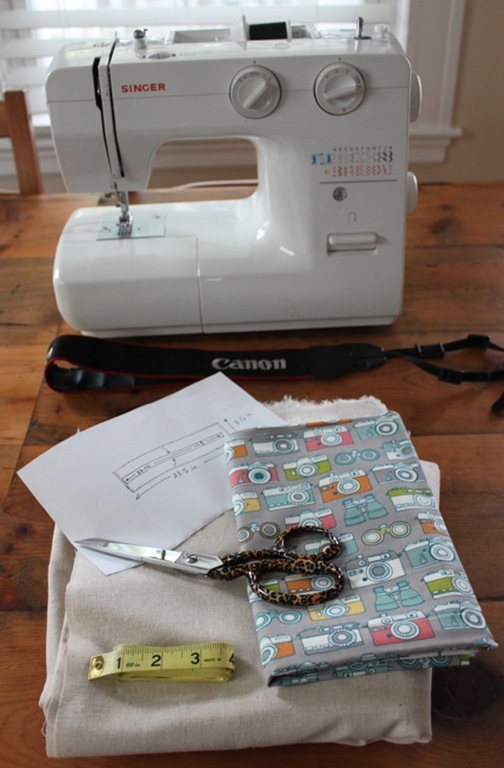 Once the hems have been sewed up the next step is to pin the fabric in half to prepare for sewing the edges together. Note: if you sew a hem, you don’t have to worry about sewing the fabric inside out because there are already crisp and pretty edges. 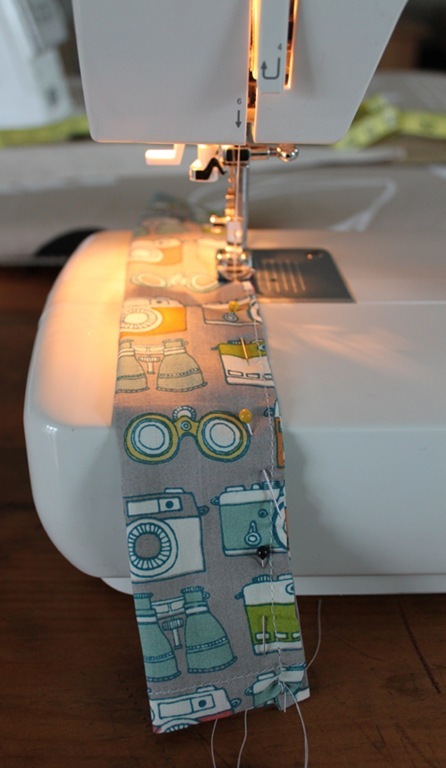 Sew it up, trim the strings, and your camera strap is done! 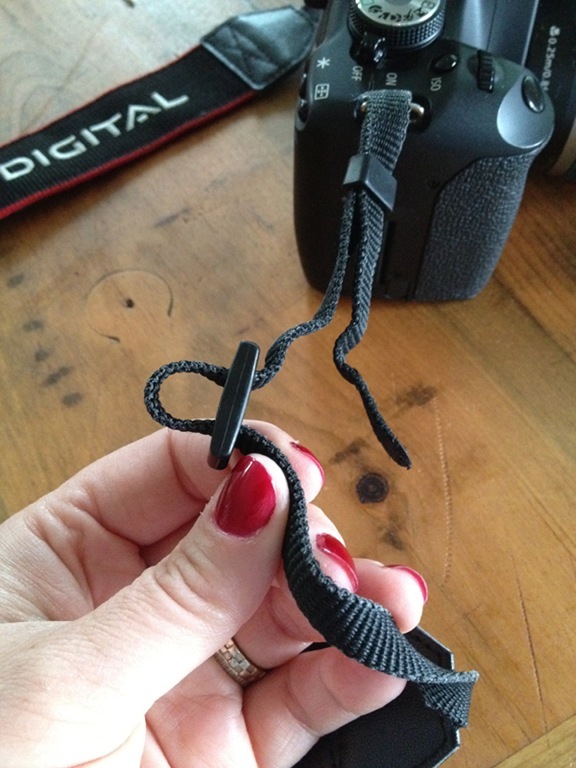 The final step is to remove the strap from your camera. This step was such a pain since my SLR strap has so many loops and plastic holders that got in the way. 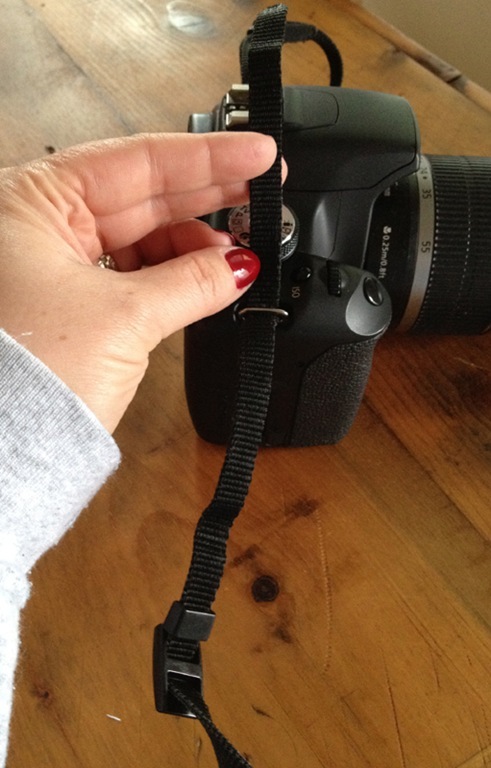 Simply slide the fabric cover onto the strap and reattach the strap back on the camera. All done! Super easy, adorable, and totally interchangeable. Any questions? 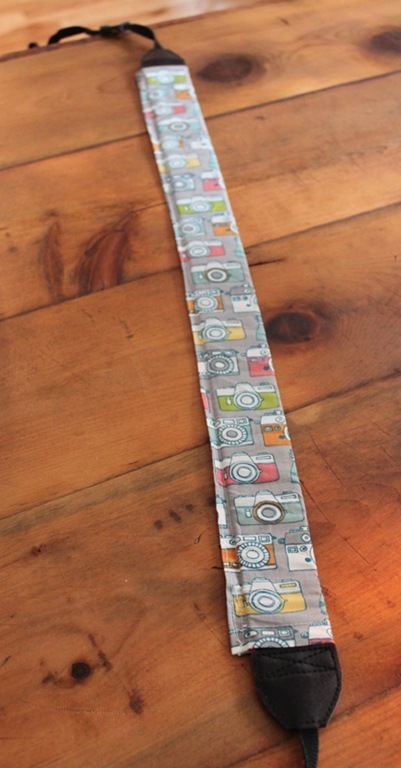 Have you sewed yourself a camera strap cover? If so, share in the comments! This is fabulous. I adore the fabric you used. You are very talented. Thank you! You’re so sweet! 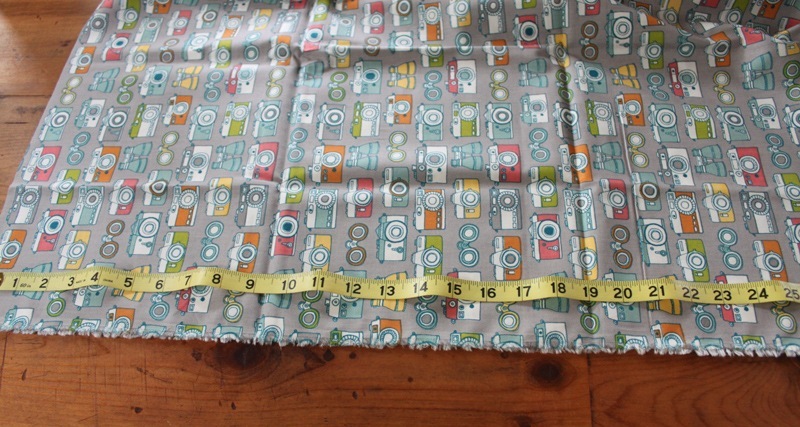 Isn’t the fabric super cute?